Palalas, A. (2013). Blended mobile learning: Expanding learning spaces with mobile technologies. In A. Tsinakos & M. Ally (Eds. 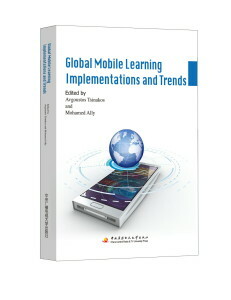 ), Global mobile learning implementations and trends (pp. 86-104). Palalas, A., & Anderson, T. (2013). Educational Design Research: Designing mobile learning interventions for English as a Second Language. Palalas, A., & Hoven, D. (2013). Implications of using DBR to investigate the iterative design of a mobile-enabled language learning system. In Rodrigues, J. & Pardo-Ballester, C. (Eds.) Design-Based Research in CALL (pp. 41-66). CALICO Monograph Series (vol. 11). Hoven, D. & Palalas, A. (2013). Design guidelines for effective mobile-enabled tasks for ESP students: A longitudinal study. In P. Hubbard, M. Schulze & B. Smith (Eds. ), Learner-Computer Interaction in Language Education. A Festschrift in Honor of Robert Fischer (pp.137-165). CALICO. Palalas, A. (2011). Mobile-Assisted Language Learning: Designing for your students. In Thouësny, S. & Bradley, L. (Eds.) Second Language Teaching and Learning with Technology. Research-publishing.net: Voillans. Palalas, A. (2013). (reviewed and accepted). Mobile Learning Strategy for Your Institution. Palalas, A. (2011). ESP for busy college students: Is the blend of in-class, online and mobile learning the answer? The IALLT Journal of Language Learning Technologies. Hoven, D. & Palalas, A. (2011). (Re)-conceptualizing design approaches for mobile language learning. CALICO Journal, 28 (3). Palalas, A. (2012). Mobile-Enabled Language Learning Eco-System. In M. Specht, M. Sharples, & J. Multisilta (Eds. ), Proceedings of the 11th International Conference on Mobile and Contextual Learning 2012, (pp. 1-8). Palalas, A. (2010). Investigating design principles for Mobile-Assisted Language Learning Objects: Design-Based Research. In M. Montebello, V. Camilleri, & A. Dingli (Eds. ), Proceedings of mLearn Conference, (pp. 410-413). Palalas, A., & Fahlman, D. (2010). Mobile device usage patterns and their impact on instructional design. In M. Montebello, V. Camilleri, & A. Dingli (Eds. ), Proceedings of mLearn Conference, (pp. 381-382). Palalas, A. (2009). Using mobile devices to extend English language learning outside the classroom. In D. Metcalf, A. Hamilton, & C. Graffeo (Eds. ), mlearn2009: 8th World Conference on Mobile and Contextual Learning. Proceedings (pp. 179-183). University of Central Florida. Palalas, A. Design-Based Research: A top-down or agile approach for educational technology research. Palalas, A., & Pawluk, P. Pedagogically-sound cross-platform designs for mobile and blended learning.